Today I am "In Katrina's Kitchen" as part of her cookie extrvaganza! 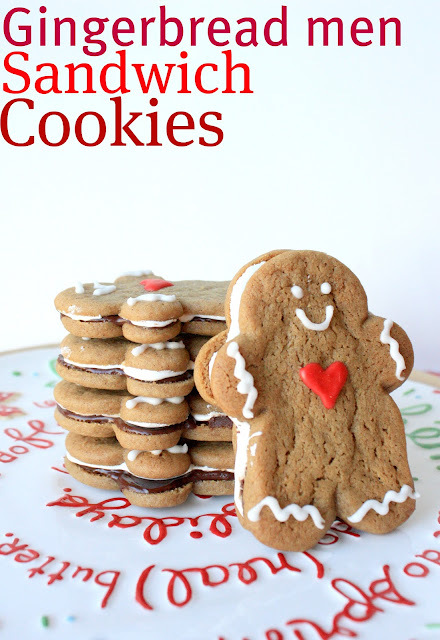 Hop on over there to see my gingerbread men sandwich cookies as part of her "I'll Bring the Cookies" event! These may just be the cutest cookies I've ever seen!!! They are almost too adorable to eat, but they also look delicious with that creamy filling! Good pictures, too. ummm yes please, gingerbread with filling! These are super cute!!! I love them! Stunning as always, Sue! Those are the cutest and most delicious looking gingerbread man cookies I've ever seen! Those are adorable! I love gingerbread men. I'm making some this weekend. These little guys are just so cute. They used to make gingerbread men ice cream sandwiches. No one carries them anymore. These remind me of them. They are wonderful. oooh how sweet, I will take 6 dozen for myself! Heading over there right now! They look so cute!! This is a brilliant idea! I'm going to make these sandwich cookies for my friends' kids and I can sandwich the gingerbread man with ice cream too...Yum! Doubly delicious and double the fun. I love your creative cookie ideas. Sandwich Gingerbread Men and adorable ones at that...love these little guys. These are adorable! Chocolate and gingerbread, yummy! Oh these look so yummy Sue! Wowww! Always with the best ideas! I want one!! They are so adorable and... wait... is that a chocolate layer I see? Gotta go over and see all the details!